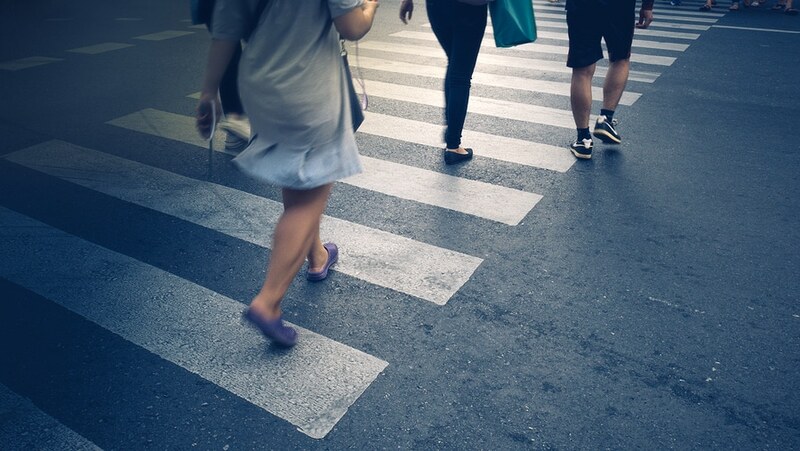 No matter how careful someone is while walking across the street, an accident can still happen. Sometimes, drivers do not exercise caution or make an error while driving. In fact, in 2004, in the US, there were 4,675 pedestrian fatalities, according to the National Highway Traffic Safety Administration. That number represents about 11% of all traffic fatalities that year. Most accidents resulting in a pedestrian fatalities occur in an urban setting, such as New York City, away from an intersection or at night. In general, they occur at night. A person injured in a pedestrian accident may be able to recover money for damages, such as lost wages, medical bills and past and future pain and suffering, associated with the accident. Depending on a variety of factors, such as the speed of the car, a pedestrian may be knocked over by the car or may end up hitting the car’s hood and windshield. These scenarios can lead to serious bodily injuries. In a pedestrian accident, the driver of a car or other vehicle is almost always at fault. 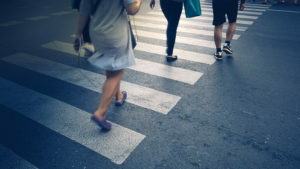 The pedestrian, or his or her attorney, will need to prove negligence in the case of a pedestrian accident, or who was at fault for the accident. He or she will likely deal with one or more insurance company and the case may even go to trial. Was the driver speeding or distracted by a cell phone? Was the driver drunk or impaired by drugs when he or she hit the pedestrian? Did the driver signal properly before turning or ignore a stop light or other traffic signal or sign? Was the roadway or sidewalk defective? Did the roadway have construction debris in it, or was the pedestrian liable by himself or herself? In general, drivers are required to yield to pedestrians. An experienced accident attorney will recreate the accident with a model or diagram to help determine who was negligent, and thus liable for the accident’s damages. As mentioned, it is not always the driver of a car, bus, taxi or truck who is liable in a pedestrian accident. If a person ran into traffic, attempted to cross certain types of highways, did not use crosswalks and did not yield to traffic then or ignored “walk” and “do not walk” signals at an intersection, then the pedestrian may be the negligent party or may have a portion of the damages reduced by their share of the negligence. What should you do if you were in an accident? Call the police and get medical attention right away. Do NOT leave the scene of the accident until the police have arrived. You should, however, move to a safe location, such as the sidewalk as opposed to staying in the street. Obtain the drivers’ name, address, phone number, insurance information and drivers license information. If there are witnesses, then you should also obtain their contact information as they may prove helpful down the line when dealing with an insurance company or in court. Will my insurance pay a claim or do I need to go to court? The answer depends on the policies of the driver and the pedestrian. Additionally, New York State law allows pedestrians to seek coverage under certain family member’s insurance policies in limited situations. It is important to work with a qualified attorney who understands insurance law, the New York State Vehicle and Traffic Law and the New York City Traffic Rules and Regulations. Individuals involved in accidents of any type have a time limit, or “statute of limitations,” to file certain insurance claims, such as no-fault claims for medical bills, or to commence a court case after an accident. Thus, it is imperative that you speak to a lawyer as soon as possible after an accident so that the statute of limitations time does not lapse.